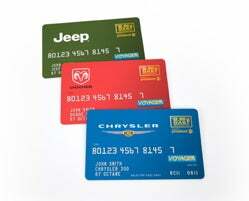 As with other auto media outlets, we've been closely following Chrysler's "Let's Refuel America" program, which is offering three years of $2.99 gas for anyone who buys a Dodge, Jeep or Chrysler vehicle (that isn't a Challenger, Viper, Wrangler, Sprinter Van or other popular vehicles). After a few back-of-the-envelope calculations we're starting to see this is a good deal for Chrysler and, at best, a mediocre rebate for consumers. For one thing, in lieu of other rebates, Chrysler doesn't necessarily have to put all of these expenses on their books right away when it records the sale, which could be a PR boon for the automaker while it tries to buy time for the "New Day" that's coming. But most importantly, the amount of money that a consumer can save is maybe less than most expected. Let's start with an extreme example by choosing the Chrysler Aspen SUV with the large 5.7-Liter V8, which isn't exactly a teetotaler when it comes to gas. We'll assume 12,000 miles a year with an average gas price of $3.61, which is what AAA considers the average gas price for this week. The Aspen gets 13 mpg city and 18 mpg highway. In all city driving you'd use 923 gallons of gas a year with a savings of $0.62 per gallon for a total savings of $572 a year or $1,716 over the three years. In all highway driving you use 667 gallons of gas for a total yearly savings of $413 and a three-year savings of $1,240. That isn't bad, if they let you keep the other rebates. Last month, the suggested incentive on a Chrysler Aspen was a $3,000 instant cash rebate. Assuming a three-year savings of $1,500 in combined driving at $0.62 savings you'd need gas to go to approximately $4.85 per gallon to even it out. To use a more regular example, the Chrysler 300 with the 2.7-Liter V6 gets 18 mpg city and 26 mpg highway. Under the same circumstances you get $1,240 at one extreme with all city driving and $859 with all highway driving. Given that they offer up to $3,000 cash incentives on the Chrysler 300 as well, you're talking about a bad deal for consumers if they pass on the cash for the gas savings. "If mid-grade or premium unleaded fuel is purchased, the customer will be billed for the $2.99 plus $.15 per gallon for mid-grade (88-89 octane) or plus $.30 for premium (90-94 octane)." This means that you're now taking up to $.30 off of your average savings, meaning that if you use the card when gas drops to $3.28 and you're using premium that you'll actually be losing money.